Property previously owned since 1892 by prominent New York lawyer and friend of President Grover Cleveland, Francis Lynde Stetson, who built home and began planting extensive gardens. After Stetson's death, property sold in 1922 to Clarence McKenzie Lewis, a stockbroker and civil engineer and stepson of William Salomon, a founder of Salomon Brothers, prominent Wall Street investment banking firm. Lewis demolished original Stetson house and built new 44-room mansion designed in style of British manor house by distinguished American architect John Russell Pope, whose projects included National Archives and National Gallery of Art. Constructed of native stone quarried on site and timbers, interior features oak stairs and paneling with carved friezes and mantels, ceiling of plaster made to simulate carved wood, stained-glass windows. State government purchased property in 1966, now operated as part of ﻿﻿Ringwood State Park﻿﻿, including New Jersey Botanical Garden of 96 acres of specialty gardens surrounded by 1000 acres of woodlands with miles of marked trails. Public tours conducted selected Sundays, house and grounds also available for rental for weddings, receptions, other events. Site of early iron mining and smelting operations, later wealthy Hewitt family constructed large Victorian summer home with gardens, now located within Ringwood State Park near Skylands Manor. Ogden family built first blast furnace and established Ringwood Co. in 1742, sold business in 1764 to o Peter Hasenclever, a German promoter who had incorporated American Iron Co. which also had holdings in New York, brought more than 500 workers from Germany and England, developed iron furnace, forge operations, grist mill, saw mill, workers' houses, a store, and numerous farms. Strategic site during Revolutionary War, iron mined at Ringwood helped supply Continental Army, iron master Robert Erskine became General Washington's map maker and Army's first Geographer and Surveyor-General, producing over 200 maps, with Washington making at least five visits to Ringwood. Erskine died at Ringwood on October 2, 1780 and is buried in the old cemetery along with more than 150 early ironmakers and Revolutionary War soldiers. Property sold in 1807 to Martin J. Ryerson, who began construction of first section of present Manor around 1810 as 10-room, Federal style building. Ryerson and sons continued to operate mines and forges on the property until 1853, when 19,000-acre property sold in 1853 for $100,000 to Peter Cooper, who had established Trenton Ironworks managed by his son Edward and son's business partner, Abram S. Hewitt. Cooper and Hewitt became major supplier of gunmetal to Union during Civil War, and continued as one of largest iron suppliers until end of 19th century. As mining and smelting declined, property evolved as Victorian summer estate of Hewitts, one of nation's wealthiest and most prominent families, which expanded home to 51 rooms with extensive period furnishings and art from their world travels. In 1938, Hewitt family donated Ringwood Manor estate, gardens and contents to state, which established Ringwood State Park and preserved house as museum. North Jersey Highlands Historical Society also sponsors tours and events, promotes conservation. Open Wednesday through Sunday, year round except for holidays, with guided tours every hour from 10am to 3pm, with exception of noon hour. Wedding ceremonies (but not receptions) permitted on grounds (but not within Manor) by application. Built 1892-93 for Catholina Lambert, a wealthy silk textile producer. Structure designed to resemble British castle, later expansion included 70-foot observation tower, summerhouse and art gallery for Lambert's extensive collection of paintings and sculpture. Visitors included President William McKinley. After business declined, Lambert forced in 1916 to mortgage property and auction art collection to pay debts, but continued to live in Castle until his death in 1923. 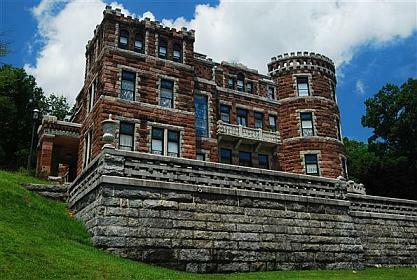 Lambert's son sold home to the City of Paterson in 1925, which used it as a Tuberculosis Hospital for several years, subsequently transferred to Passaic County Park Commission to be included as part of the 575-acre Garret Mountain Reservation. In 1934, Passaic County Historical Society authorized to establish a museum and library in building. Lambert Castle Museum contains historical period rooms and furnishings of Catholina Lambert, other artifacts of Passaic County history. House originally built with five rooms in 1752 on 420-acre tract in Dutch settlement on Hackensack River along with grist mill and wharf, expanded to 12 rooms in 1765. Site of several skirmishes during Revolutionary War, British mistakenly killed eight of own soldiers billeted in house on May 30, 1780, General George Washington stayed at house in following September when Continental army with 14,000 soldiers encamped along Kinderkamack Road. In 1781, house confiscated by NJ state government from Loyalist owner, wealthy merchant Jan Zabriskie, and in 1783, life estate in house, grist mill and 40 acres presented as gift to General Baron Von Steuben in gratitude for his assistance during Revolutionary War. After obtaining full title to property and then declaring bankruptcy, Steuben sold house in 1788 to son of Jan Zabriskie. House and property remained owned by Zabriskie descendants until early 20th century, after succession of private owners acquired by state government in 1926. Site currently maintained by Historic New Bridge Landing Park Commission created by state legislation in 1995, also includes two other historic houses relocated from their original sites: Demarest House (owned and managed by Blauvelt-Demarest Foundation) and Campbell-Christie House (owned by County of Bergen, managed by Bergen County Historical Society). Georgian manor house built in 1740s by Dutch settler Dirck Dey, whose son, Theunis, was a Colonel of Bergen County Militia during Revolutionary War and a founding trustee in 1766 of Queens College, present day Rutgers University. Served as headquarters of General George Washington during nearby encampment of his army from July 1 to July 29, 1780 and again from October 8 through November 27, 1780. Sold by Dey descendant in 1801, acquired 1930 by Passaic County Parks Commission, since 1987 open to public as a Museum owned and operated by Passaic County Board of Chosen Freeholders, serves as a meeting place and reenactment center for historic groups, after restoration rededicated in February 2016 ceremony. Former home of Livingston and Kean families, members include state's first governor, William Livingston (1776-90), Governor Thomas H. Kean (1982-90) and current Republican Senate Leader Thomas Kean, Jr.. Home originally built in 1760 as 14-room Georgian mansion country retreat on 120 acres in what was then Elizabethtown by New York lawyer and colonial legislator William Livingston, member of wealthy Livingston family which owned extensive property along Hudson River north of Manhattan. In 1773, Livingston and wife, former Susannah French of New Brunswick, moved to Liberty Hall on a full-time basis with their children, Livingston soon elected as a New Jersey delegate to Continental Congress and named as brigadier general of the New Jersey militia. Elected governor in August 1776, later a signer of US Constitution. Soon after home's construction was completed, Alexander Hamilton resided in house while a student before attending Kings College (now Columbia University) in New York. Other prominent visitors included George and Martha Washington, Marquis de Lafayette and John Jay, whose wedding was held at home. Home extensively damaged during Revolutionary War. Governor Livingston served as governor for 14 years until his death on July 25, 1790. Home expanded in 19th century to 50-room Greek Revival mansion by Kean family, which had extensive interests in railroads, canals, real estate and banking. Residence donated in 1997 following death of Mary Alice Barney Kean, widow of uncle of Governor Kean, to Liberty Hall Foundation. Currently operated as museum with holdings including family furniture, paintings, memorabilia on Union campus of Kean University, also available for rental for private events such as weddings, receptions. Built about 1750, Boxwood Hall became residence of Elias Boudinot, president of College of New Jersey (now Princeton University) when school still in Elizabethtown. Boudinot became prominent Revolutionary leader, later president of Continental Congress. On way to New York for his first inauguration in April 1789, George Washington stopped at home for lunch, then escorted by Boudinot and others to Manhattan for inauguration. 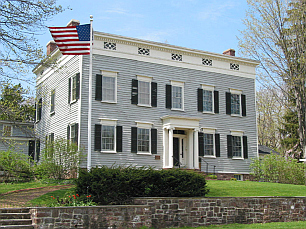 Boudinot sold home in 1795 to Jonathan Dayton, one of four men from New jersey to sign Declaration of Independence and later Speaker of House of Representatives and US Senator, who hosted Marquis de Lafayette at house shortly before Dayton's death in 1824. Home built 1880-82 in Llewellyn Park, first planned residential community in America with landscaping by Manhattan's Central Park designer Frederick Law Olmstead. Purchased by Thomas Edison as wedding gift to second wife Mina in 1886, located near site in West Orange of Edison laboratories which he relocated from Menlo Park in Middlesex County. Prominent visitors to Glenmont included Woodrow Wilson, Herbert Hoover, Helen Keller. Structure with rooms added by Edison totaled 29 rooms, seven chimneys and 23 fireplaces, shortly after purchase, Edison had home wired for electricity in 1887. Edison died in home of complications of diabetes on October 18, 1931, he and wife Mina are buried in garden behind home. Operated by National Park Service as part of Thomas Edison National Historical Park which includes Edison laboratories. House built 1832 as pastor's residence of First Presbyterian Church of Caldwell. Grover Cleveland born in house in 1837 while his father, Reverend Richard Falley Cleveland, served 1834-41 as pastor of Church until family relocated to upstate New York when father accepted post at another church. Most of first floor rooms portray house as it was at time of Cleveland's birth in 1837. Artifacts on display include Cleveland’s baby cradle and original family portraits, as well as items from later business and political career. A group of Cleveland’s admirers purchased home in 1907, incorporated Grover Cleveland Birthplace Memorial Association, which opened house to public in 1913, subsequently transferred ownership to state. Association continues to raise funds for house preservation, coordinate tours and sponsors mobile exhibits available to schools, nursing homes, other groups. 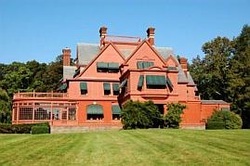 After completing second term as President, in 1897 Cleveland purchased home in Princeton, resided there with wife until his death in 1908, that house under private ownership. 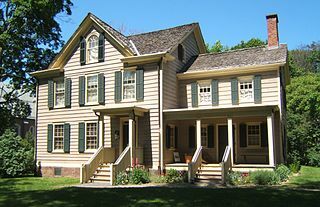 Built 1796 on 86-acre farm by Israel Crane (1774-1858), a descendant of founding family of Cranetown (now Montclair), and his wife Fanny Pierson (1773-1828). Israel Crane a successful merchant who constructed a turnpike that connected central and western New Jersey to eastern cities and towns. Federal-style mansion remodeled and expanded around 1840 with Greek-Revival details. Walls made of wood, with underlying layer of stone. Adjacent herb garden with gazebo. Remained in Crane family ownership until early 20th century, then sold 1920 to YWCA of Montclair-North Essex for use as its headquarters and as dormitories and social center for African American women. Montclair Historical Society saved home from demolition and relocated it to present site as part of its museum collection of historic houses, which includes Nathaniel Crane House built 1818 by Israel Crane's cousin. Tours conducted depicting early 19th century period rooms and exhibits related to local history. Constructed 1762-64, became official residence of William Franklin, last Royal Governor of colony of New Jersey and illegitimate son of Benjamin Franklin, from 1774 until Franklin was arrested at house by rebel militia in 1776. During Revolution, occupied by both Patriot and British troops and also served at different times as headquarters for both American General Hugh Mercer and British General Sir William Howe. After the War, extensively damaged by fire. In 19th century, restored and re-opened as hotel named Brighton House, subsequently converted for use as retirement home and boarding house. Non-profit Proprietary House Association formed 1966 to preserve and restore building, persuaded state to purchase property in 1967. 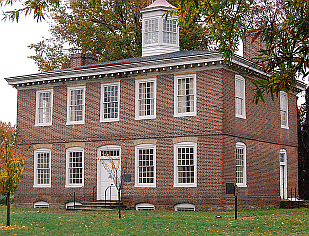 State leased house to Association in 1974, first opened for public visits during 1976 bicentennial celebration. Tours held most Wednesdays and last Sunday of month, others by special reservation, also available for rental for private events. 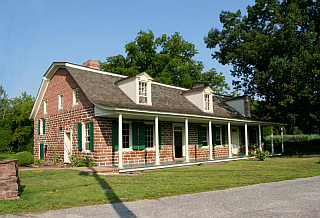 Built around 1740 near Raritan River during Dutch settlement of Raritan Valley. At time of Revolution, owned by Abraham Staats, a farmer and surveyor who was active in movement for independence, targeted by British for hanging, possibly for role in spy network. Property strategic site during Revolution, house served as headquarters for General Baron Von Steuben from March to June 1779 while Continental Army encamped nearby, house also visited by George Washington, other generals and French minister M. Girard. Acquired by Borough of South Bound Brook in 1999 with grant assistance from Somerset County. Open for free tours on 2nd Saturday of each month from 10 am to Noon, closed during July and August. 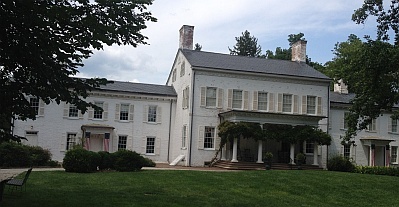 Completed in 1776 as Hope Farm for John Wallace, a successful Philadelphia textile merchant. 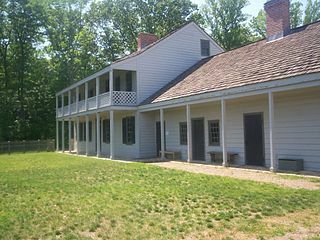 Shortly after house constructed, General Washington leased it as his headquarters during the Middlebrook Winter Encampment from December 1778, to June 1779, with Continental Army encamped some three miles away. During part of stay, Washington joined by wife Martha, guests entertained at house included Alexander Hamilton, Benedict Arnold, Nathaniel Greene and Baron von Steuben. Considered one of most original examples of Georgian architecture in New Jersey. Revolutionary Memorial Society bought the house in 1896, and gave it to state of New Jersey in 1947. Built in 1751, first occupied by Reverend John Frelinghuysen, son of Theodorus Frelinghuysen, a German who had lived for a short time in Holland before emigrating in 1720. John Frelinghuysen served three congregations of the Dutch Reform church in upper Raritan Valley. Room in the house served as a Dutch Reformed religious seminary, second resident of the Parsonage, Reverend Jacob Hardenbergh, founded in 1766 Queens College, later to become Rutgers University, while residing in the house and became College's first president. House relocated in 1913 from original site in Somerville to location adjacent to Wallace House, acquired 1947 and operated by state of New Jersey in conjunction with Wallace House. Original home built in 1750s by Richard Stockton on 150 acres of land first purchased as 5,500-acre tract in 1701 by his grandfather from William Penn. Stockton a Revolutionary leader, tied in first provincial assembly vote with William Livingston for state governor, subsequently declined appointment as chief justice, captured and imprisoned by British during War, released after petition in his behalf by Continental Congress. Stockton's wife Annis Boudinot Stockton named "Morven" after a mythical Gaelic kingdom in Ireland, she became noted poet called "Muse of Morven" by George Washington, who was entertained in house. House remained owned by Stockton family into 20th century, rented in 1930s by Robert Wood Johnson II, chairman of Johnson & Johnson. In 1944, New Jersey Governor Walter Edge purchased Morven from Stockton family, subject to condition that Morven would be given to the state of New Jersey within two years of Edge's death, but transferred ownership to the state during 1954, before he died in 1956. Home became official governor's residence for Governors Meyner, Hughes, Cahill and Byrne from 1955 to January 1982. In 1982, upon inauguration of Governor Kean, Governor's Mansion re-designated to nearby Drumthwacket, a larger mansion, and Morven restored and adapted as a museum under state ownership and operated by nonprofit Morven Foundation. Open for public visits and for rental for weddings and other private events. Official residence of Governor of New Jersey since 1982, but primarily used by Governor Christie for meetings, special events. Public tours on most Wednesdays by prior registration, also open to public during winter holiday season, annual Easter egg hunt. Home built in 1835 by Charles Smith Olden, elected Governor 1859, served 1860-63 during first years of Civil War, subsequently judge on Court of Errors and Appeals 1868-73. Olden family had owned land almost continuously since 1696. 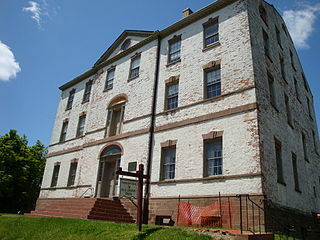 House near former Governor's official residence at Morven, now a museum, and state park at site of Battle of Princeton. Listed on National Register of Historic Places. Originally a model farm, Prospect House purchased in 1824 by John Potter, a wealthy merchant from South Carolina. His son Thomas F. Potter demolished original Georgian farmhouse and replaced it in 1851 with present Italianate villa with extensive garden designed by prominent architect John Notman. 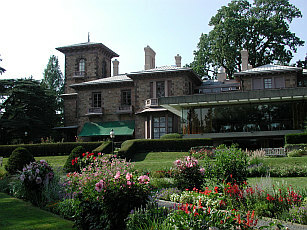 Acquired in 1878 by Robert and Alexander Stuart of New York, who donated house and 35-acre property to College of New Jersey (now Princeton University), for use as residence for school's presidents, including Woodrow Wilson who lived in house when president of University between 1902 and 1910. In 1968, residence for presidents relocated to Walter Lowrie House off main campus, with Prospect converted for use as faculty club for dining and receptions. Available for rental for wedding receptions and other private affairs. House built around 1840, moved to current site in 1875. Residence of Albert Einstein and family from 1936, when under Nazi persecution he resigned his position at Academy of Sciences in Berlin and accepted faculty appointment to new Institute for Advanced Study established to provide haven for scientists fleeing Nazis and allowing faculty to pursue research without teaching responsibilities. Einstein walked from home to Institute on most days until his death in Princeton in 1955. National Historic Landmark, but remains private residence, not open for public visits. Georgian Revival house built 1854 by Commodore Robert F. Stockton, head of Joint Companies which owned, operated Delaware & Raritan Canal and Camden & Amboy Railroad. 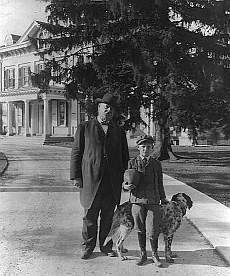 After completing his second presidential term ended in 1897, Grover Cleveland and his wife purchased house, named it "Westland" in appreciation of role in selecting house of friend, Princeton Professor Andrew Fleming West, later named first dean of new Princeton Graduate College and also closely aligned with Cleveland after Cleveland named to Princeton board of trustees, with West and Cleveland allied in opposing Princeton President Woodrow Wilson's plan to locate graduate school on undergraduate campus rather than on its own separate site. Cleveland home became gathering place for students, especially after sports or debating victories, with student parades held every March 18 to celebrate Cleveland's birthday. Cleveland died in home on June 24, 1908 at age of 71, buried with wife in Princeton Cemetery. After his death, main tower of Graduate College named as memorial to Cleveland. Designated as National Historic Landmark, but home remains in private ownership, no public visits. Home originally built sometime between 1702 and 1710, rented by Congress for use as headquarters for General George Washington in 1783, when Congress met at Nassau Hall in Princeton after relocating from Philadelphia to avoid potential mutiny by Continental soldiers protesting lack of pay. Home then owned by widow of Judge John Berrien, Martha Washington joined husband at Rockingham, news of signing of Treaty of Paris ending War received while Washingtons in residence. State acquired property in 1935 and moved house from original site to avoid damage from operations at nearby quarry. Reopened to public in 2004 after extensive restoration, also relocated to new site on 27 acres along adjoining Delaware and Raritan Canal State Park . Open for public visits, includes restored colonial kitchen, barn, children's museum. 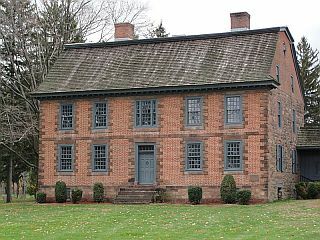 Brick home built around 1719 at Falls of the Delaware River by wealthy merchant William Trent, who in following year incorporated and named town of Trenton. Property included entrance down to ferry landing, grist and saw mills along Assunpink Creek and several outbuildings. House leased in 1742 to Lewis Morris, first Governor of separate colony of New Jersey, house then called “Bloomsbury Court,” used as his official residence until 1746. During Revolution, house occupied by Hessian forces. House confiscated by new state government from then Loyalist owner of property, acquired by Colonel John Cox, wealthy Philadelphia patriot and Deputy Quartermaster General of Continental Army, who used grounds as supply depot for Washington’s army. Purchased in 1835 by Philemon Dickerson, Jacksonian Democrat elected Governor in next year and used house as Official Residence. 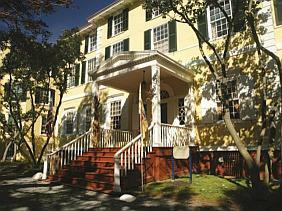 Also served as Official Residence of Governor in 1854 when purchased by Democratic Governor Rodman McCamley Price. Last private owner of house, Edward A. Stokes, donated building to City of Trenton in 1929 with condition that it be restored to its appearance during William Trent era and be used as a library, art gallery or museum. After extensive restoration, opened as a museum in 1939, owned by City of Trenton and operated by nonprofit ﻿Trent House Association﻿. Oldest surviving home in Atlantic County, first noted in minutes of 1726 meeting at home of Great Egg/Cape May Society of Friends. Three-story home overlooking Great Egg Harbor Bay built of brick in Flemish Bond Pattern. Land on which home built originally part of 3,000-acre parcel purchased 1695 by John Somers, whose great grandson Richard Somers was a US Navy officer killed at age 25 in 1804 along with 12 crew of the small ketch Intrepid in explosion on ship during assault on Barbary pirates in harbor at Tripoli, Libya. Ongoing efforts to seek return of remains of Somers and crew from Libya for reburial with other family graves in Somers Point. Home overlooks Great Egg Harbor Bay. 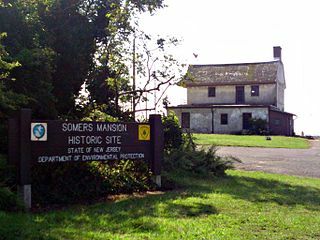 In 1937, Somers descendants deeded home to create permanent memorial of Somers family, transferred 1941 to state of New Jersey. Open to public, contains 18th-century furnishings, textile collection includes locally fashioned quilts, coverlets and samplers. Home built on land originally part of larger 1,000-acre tract purchased by William Hancock in 1670s as part of "Fenwick's Colony," a Quaker settlement founded by John Fenwick which later became town of Salem. House built in 1734 by William Hancock's son, also named William, who became successful businessman and judge. Situated at strategic point near Hancock's Bridge crossing Lower Alloway's Creek, home the site of massacre during Revolutionary War in March 1778 when 300 British soldiers attacked local rebel militia occupying the house, with 20 killed and Judge Hancock suffering mortal bayonet wounds. House noted as example of British architecture of period with Flemish bond brickwork; a pent-roof around front and back; simple entrance steps; and interior paneling. Home acquired by state government in 1931, operated in cooperation with nonprofit Friends of the Hancock House, which was established when state closed house to public in 1995 as part of financial cutbacks and assisted in raising funds for re-opening. Believed to be oldest surviving log cabin in North America, original 16 by 22-foot one-room cabin built sometime between 1638 and 1643 by Finnish settlers. 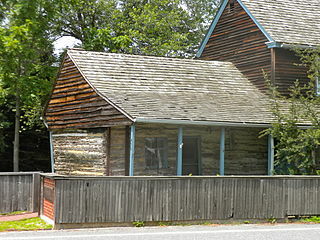 Constructed of square-hewn logs interlocking at ends with wooden pegs instead of nails, earthen floor replaced in early 1700s by wood planks with large corner fireplace in a rear corner. Acquired by Nothnagle family in 1860s as part of dairy farm, sold 1968 to Harry and Doris Rink, who restored house and successfully applied to add it to National Register of Historic Places in 1976. Open to public by prior appointment with Rinks. 32-room Mansion within Batsto Village in Pinelands which served as residence of generations of ironmasters and others owning lands. Property developed in 1766 as Batsto Iron Works along Batsto River to mine bog ore from river and harvest wood from forests to make charcoal for smelting ore. Iron Works bought 1773 by John Cox, who produced cooking pots, kettles, and other household items and then made supplies for Continental Army during Revolutionary War. In 1779, Iron Works manager, Joseph Ball, bought business and in 1784, his uncle, William Richards, purchased controlling interest, with Richards family building most of structures in village, including Mansion. After iron production declined in competition with larger producers, shifted to glass manufacturing, but business went bankrupt and in 1876 was purchased by Joseph Wharton, Philadelphia businessman and namesake of Wharton School of University of Pennsylvania. Wharton renovated and expanded Mansion in Italianate style. Fourteen rooms, including the parlors, dining room, library and bedrooms, are currently open to the public for tours. In 1779, the Iron Works manager, Joseph Ball, bought works and in 1784, his uncle, William Richards, bought a controlling interest. After Wharton's death in 1909, property managed by Girard Trust Company in Philadelphia until sale in mid-1950s to state which used property as core of Wharton State Forest. Fourteen rooms of Mansion, including parlors, dining room, library and bedrooms, currently open to public for tours along with nearby gristmill, sawmill, general store, workers' homes and post office. Batsto Village listed on New Jersey and National Registers of Historic Places. House in which poet Walt Whitman lived from purchasing it in 1884 until his death in 1892. 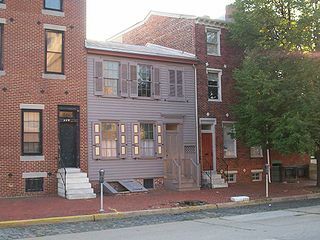 Whitman relocated in 1873 to Camden from Washington, DC, first living with brother and sister-in-law in their home. 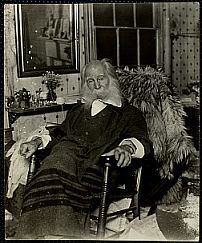 While living in the home, despite being in poor health, Whitman completed several poems, as well as revising last of several editions of his poetry collection, Leaves of Grass, but only earned an estimated $1,300 and was largely dependent on donations from admirers. Visitors to home included painter Thomas Eakins, naturalist John Burroughs and writers Oscar Wilde and Bram Stoker. House furnished with a number of pieces owned and used by Whitman. Owned and maintained by state of New Jersey with public visits by appointment, nonprofit Walt Whitman Association, first established during Whitman's lifetime, also supports preservation of home and promotes his legacy.